The traditional projector is inconvenient for you because of the large size. 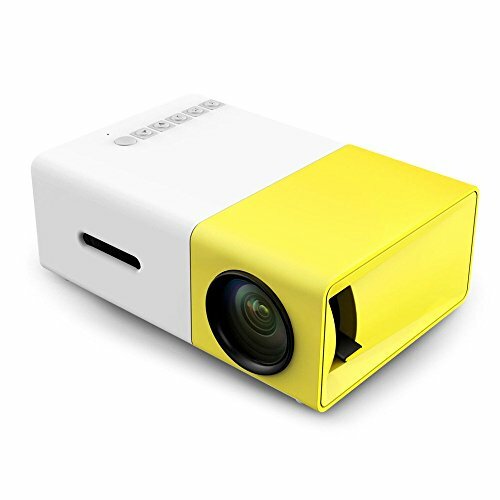 So, we deliver this premium, high-quality, portable projector to you. Use YG - 300 LCD projector everywhere, in the meeting, camping or at home, the possibilities are endless. With a vast array of connectivity options, its portability, and its strong battery life ensure that no matter what you need, it is always there for you. Keep it in your hand, watch your favorite videos on the go. 【Various Compatible Devices】This small smartphone projector is with some versatile inferfaces,such as USB, HDMI, AV, SD.So it can be connected to your iPhone, Android Smartphones, Chromecast, Tablet, ipad, Laptop, Macbook, Blu-ray Player, DVD, Set-top boxes, Gaming consoles,etc. If you have any questions about this product by Docamor, contact us by completing and submitting the form below. If you are looking for a specif part number, please include it with your message.